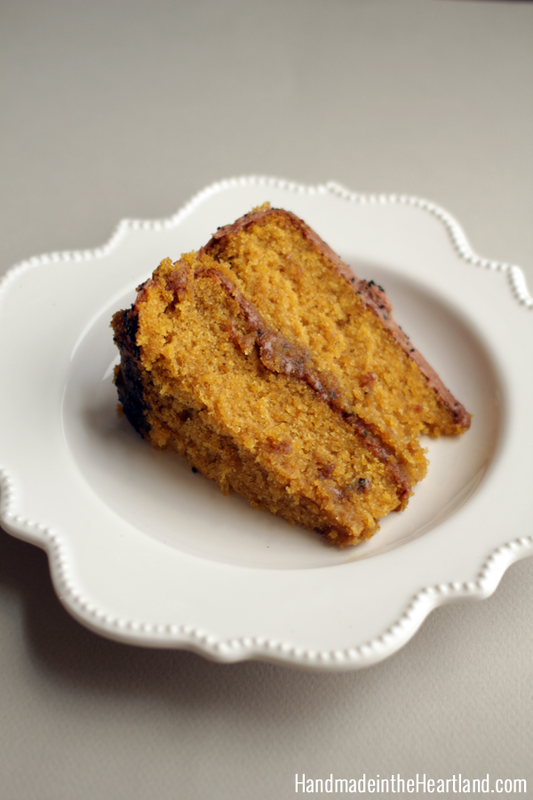 How much do you love pumpkin food in the fall? If pinterest is any indication we all love it a whole stinkin lot. How can you resist? 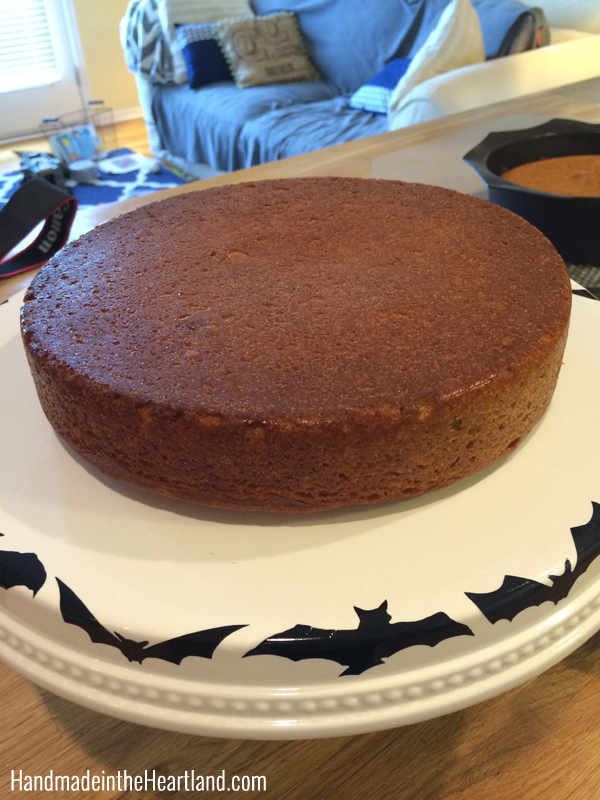 Well I think this recipe for pumpkin cake is seriously the best one I’ve had. 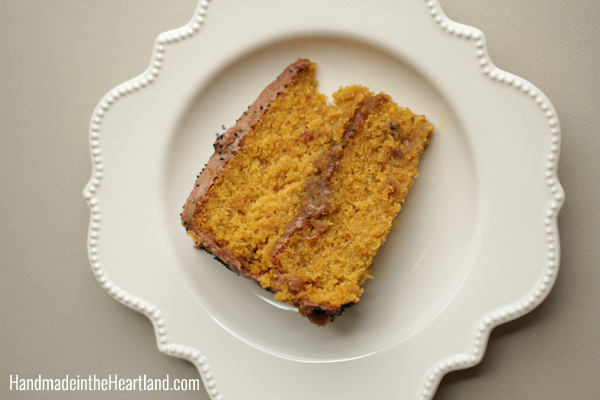 It is SO good, fluffy, moist and delicious you’ll be making it over and over again. You may remember the fun bat cake stand I made last week and this is the cake I displayed on it. I made milk chocolate icing for it because I wanted chocolate for the cake stand pictures, but if I’m totally honest a nice cream cheese icing would be the best for this cake. I mean that combo is classic, right?! I’ve teamed up with some of my blogger friends again and we have 11 different pumpkin projects to show you- make sure you visit them all! 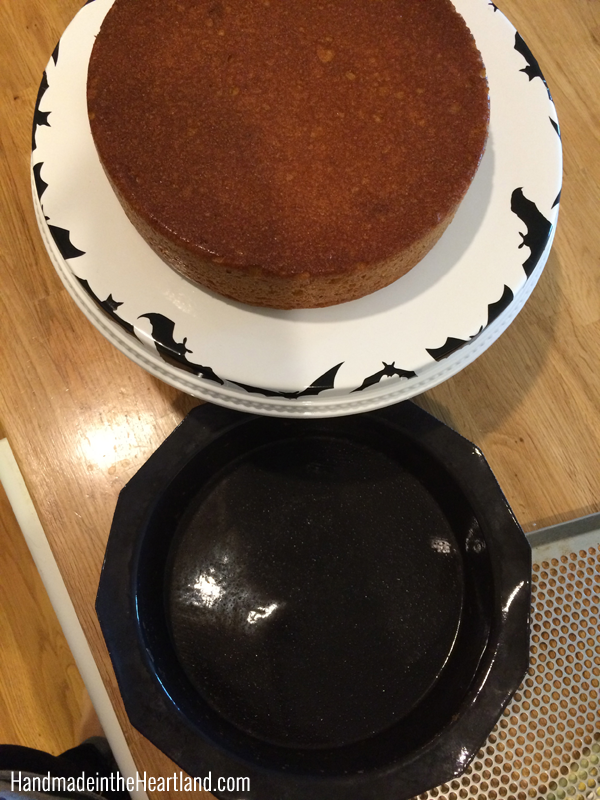 I used my large round Demarle mold, it is seriously the BEST for making cakes. No flour, spray or extra butter and your cake comes out perfect every time. Sometimes I wonder how I made cakes without it! If you look at the photos below you can see that it came out so perfectly and literally there was nothing left in the mold after! It crazy awesome. Looking at these pictures is making me hungry for this cake again! I wish I still had a piece! Preheat the oven to 350. Cream the butter and sugars together until combined and fluffy. Add the eggs and vanilla one at a time beating after each addition. Combine the dry ingredients and add alternately with the pumpkin and sour cream. Place in 2 round cake pans (I used 9″) and bake for 40 minutes or until a toothpick inserted in center comes out clean. Let cool and then frost with your favorite cream cheese icing or milk chocolate. 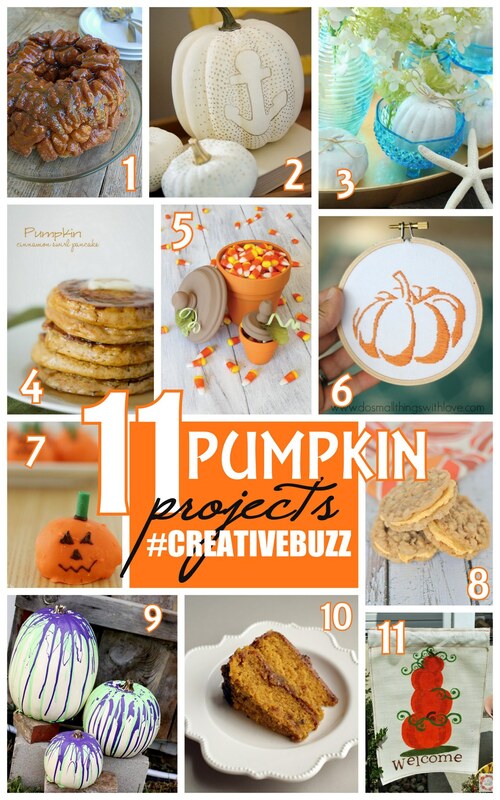 Here are some awesome pumpkin projects- recipes & crafts! Have fun clicking around and seeing them all.